The meeting was opened by our President Carol Crouse. 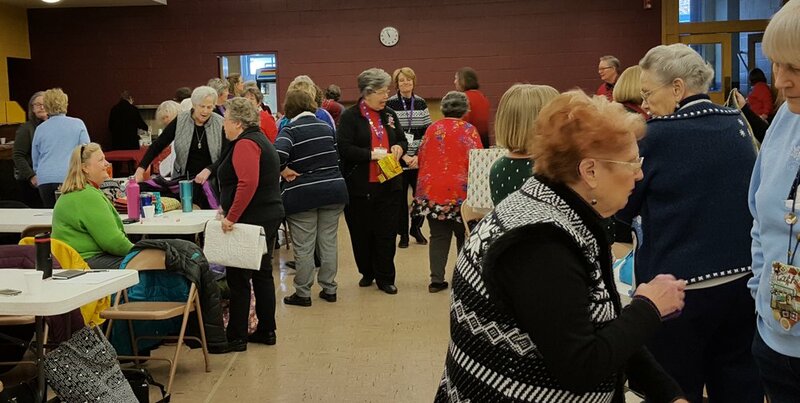 There were reports from various officers, committee heads, fun chair, and the representative to the quilt festival. More information about the festival can be found on the website. We still need some more people to white glove for the Preview night. See the newsletter for more information and for forms needed for the various quilt entries. Of course there was show and tell. Below is a few pictures, but see our Facebook page for all of them. Our speaker was Jan Patek. 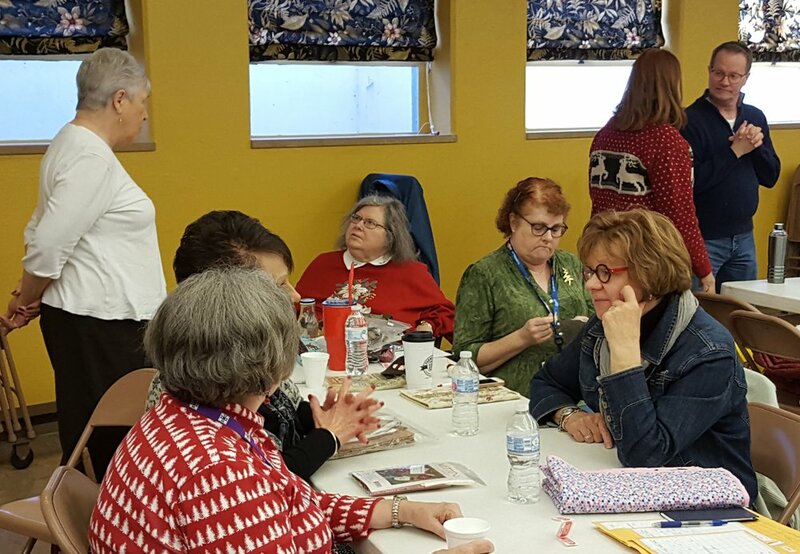 She shared her delightful anecdotes about becoming a quilt pattern designer. 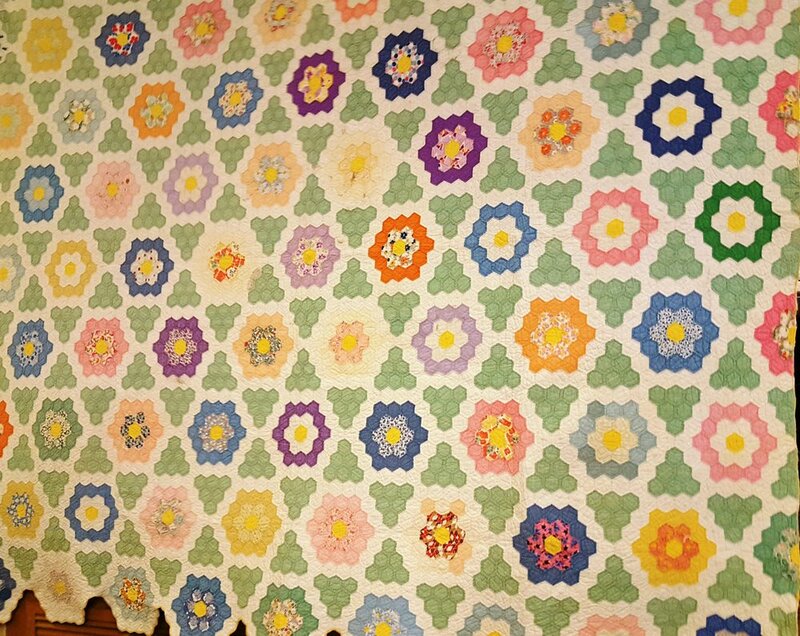 She showed early quilts and described designing patterns as a way to pay for fabric. By the end of the presentation she was telling us about designing fabrics for Moda, receiving 5 yards of each fabric, and now having more fabric than she can use. I was especially interested in all the purples she now designs for Moda. 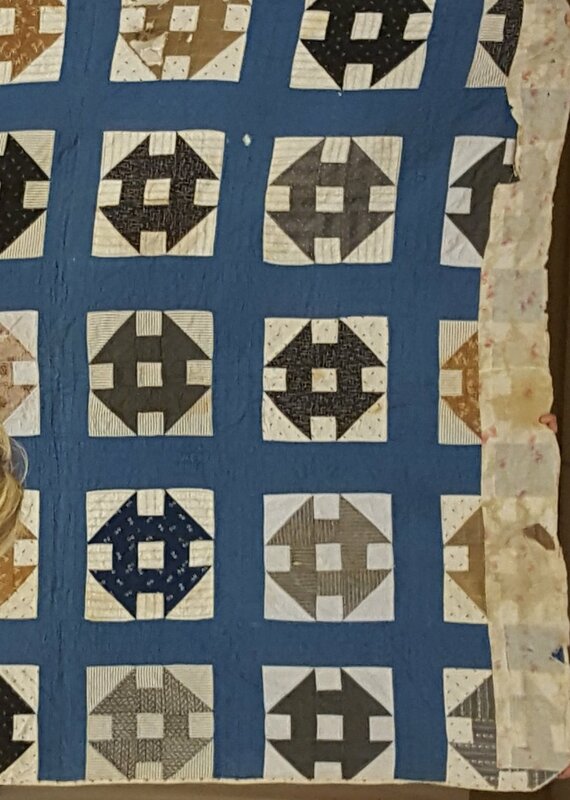 Here are pictures of some of the quilt s she presented. 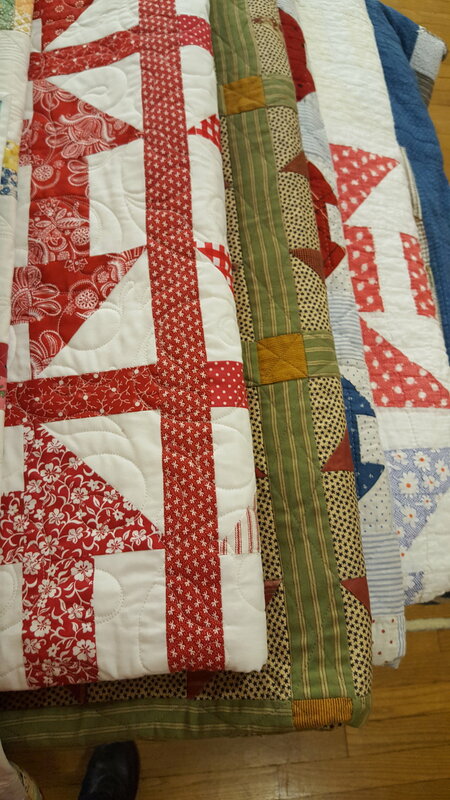 Thanks to our great quilt holders: Doris Carr, Rosemary Garten, Carol Marcks and BJ Krueger. Our meeting started with Announcements by President Carol Crouse. There is an elevator present in the room. 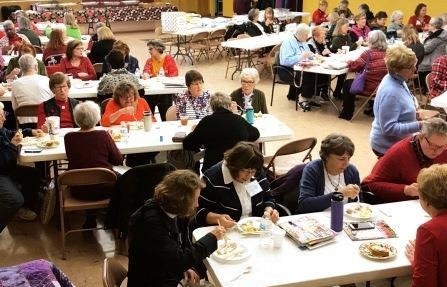 If you need to use it, contact Carol Russell (cell number in directory) who usually arrives by 8:30 and she will meet you upstairs with the elevator. Access is from the front of the church where there are no steps. There is a new retreat center in Ozark, MO that will hold about 7 guests. It is 20 miles from Springfield. More information in the minutes and on the bulletin board. Our guild is responsible for Preview night. Volunteers needed. A lot of items will be for sale at the next two Guild meetings. Here’s the order form. See Gretchen. 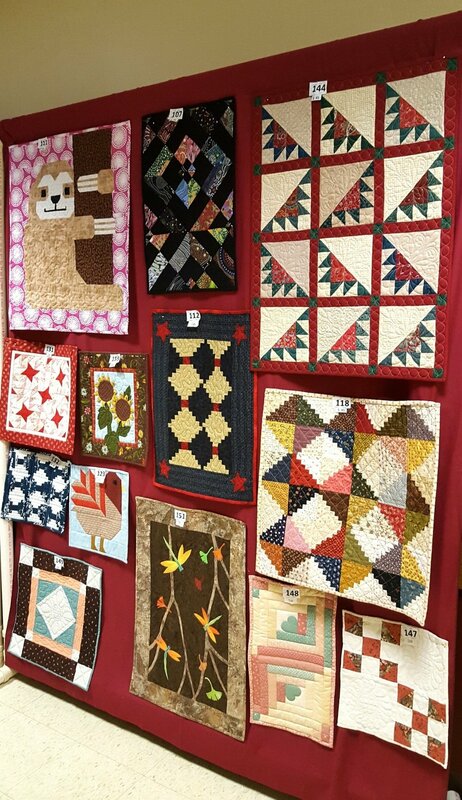 Small quilts are still needed and should be turned in by the end of March. If you are entering a judged quilt, the entry form is different from the guild entries. 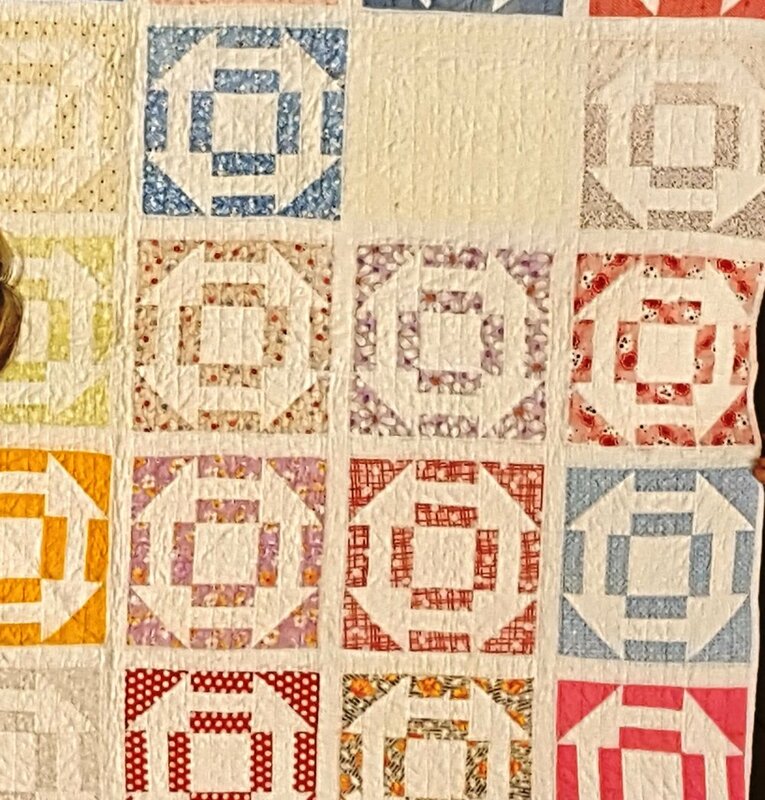 See directions on the main Festival website https://kcrqf.com/festival-info/judgedquiltshow/ Carol said the first 100 quilts entered will be accepted March 1 thru April 15th. If you are donating a small quilt for the silent auction, the form is here. Sarah Rathjen is taking responsibility for the guild quilts that will be hung. Sarah needs two photos, measurements and a form for each entry due March 15th. “Rules” for entries can be found here. Sarah also reported that the Nominating Committee was looking for multiple volunteers. Our Speaker was Kathy Delaney. 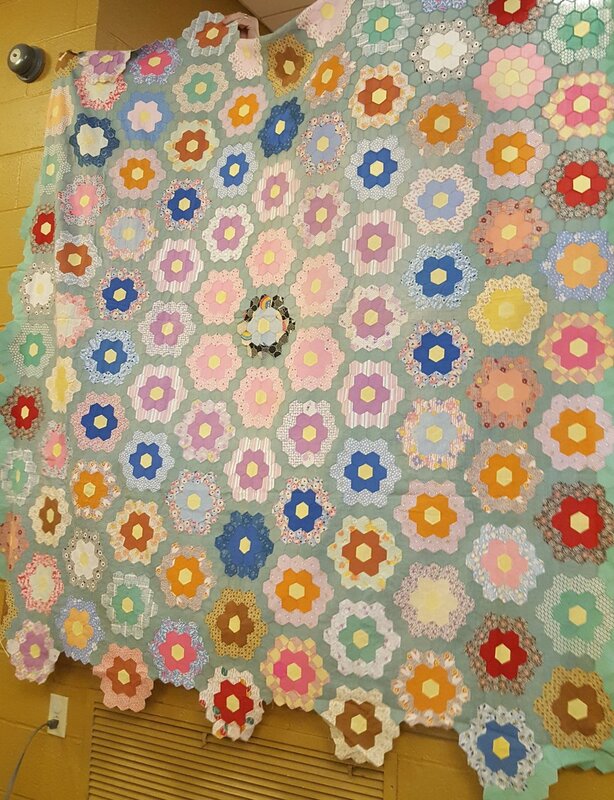 She showed quilts that she has made and told us about her journey in quilting from her humble beginning to present day. 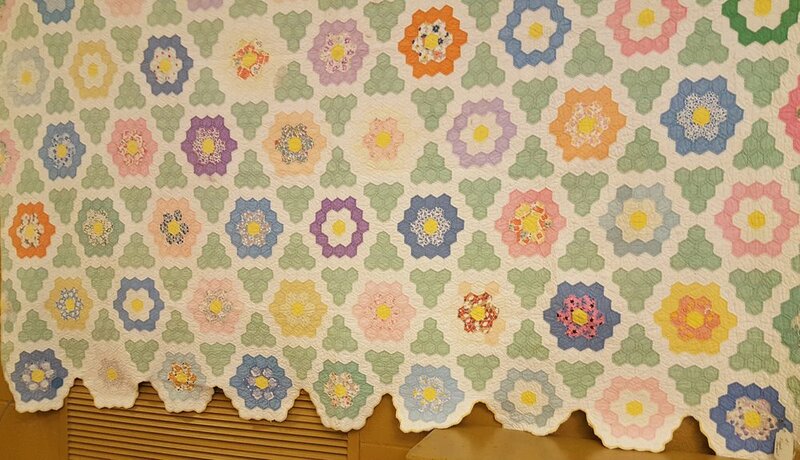 After the meeting there was a sale of unfinished quilt tops made by Bonnie Rosen. These were donated to the guild by her family. What a bittersweet moment. Here are pictures of a few of them. The meeting started with the usual annoucements and such - see minutes for more details. 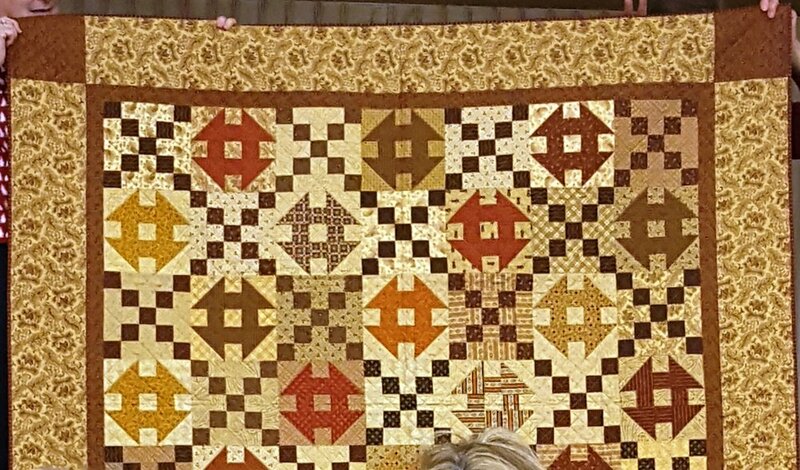 A reminder was given about Calico Cut-Ups quilt show. It is Friday, February 8th and Saturday, Feb. 9th, 10am - 4pm, at the Salvation Army Community Center, 14700 E. Truman Road, Independence, MO. Admission is free. Doris Conrad gave a review of the upcoming guild workshops. There are quite a few scheduled this year. Please plan to participate so we can continue having great workshops by the speakers. During committee reports we had an inpromptu photo session of the group for the webmaven to try her hand at a better collage for the website membership page. (For collage click on the membership tab, but it still needs work.) So many fun snapshots appeared - they are shared here. You can click on a picture to make it larger and to scroll through them all. Of course there were door prizes - our speaker contributed 3 patterns - thanks, Reeze. They were drawn by our fearless leader, Carol. Of course we had show and tell. For better pictures and more of them, see our Facebook page. Break was followed by an excellent presentation with both slideshow and quilts. She was accompanied by her husband, the CEO of their company Morning Glory designs (Carries Everything Out). Her presentation was on One Patch Renaissance - the history, the driving principles especially the the geometry of one-patches in terms we could all understand. 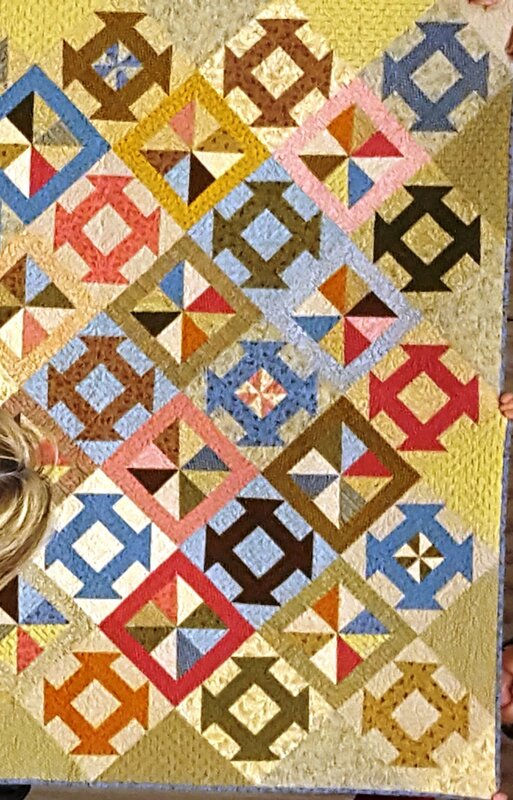 She then gave a review of the different patches with examples of vintage and current quilts, including ones she sells patterns for. As she presented, multiple examples of the use of fusible were shown. 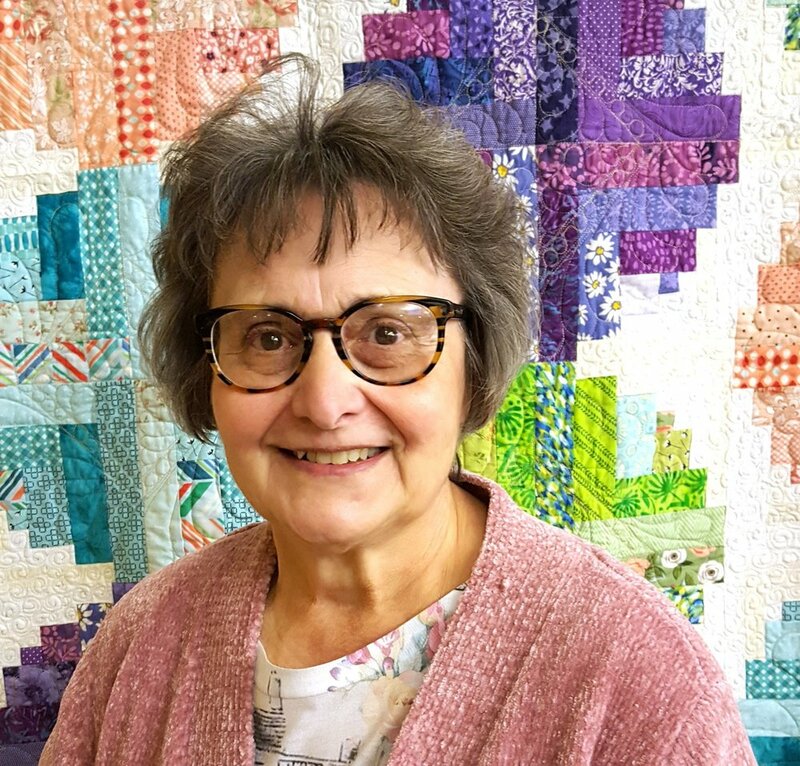 She will be presenting on the different products at the Quilt Festival . 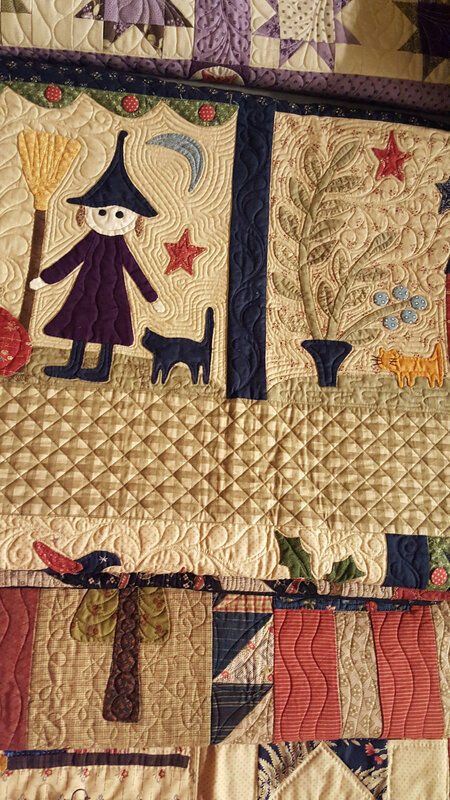 She will also be presenting on Apple Core quilts, Winding Ways, and Electric Quilt 8. 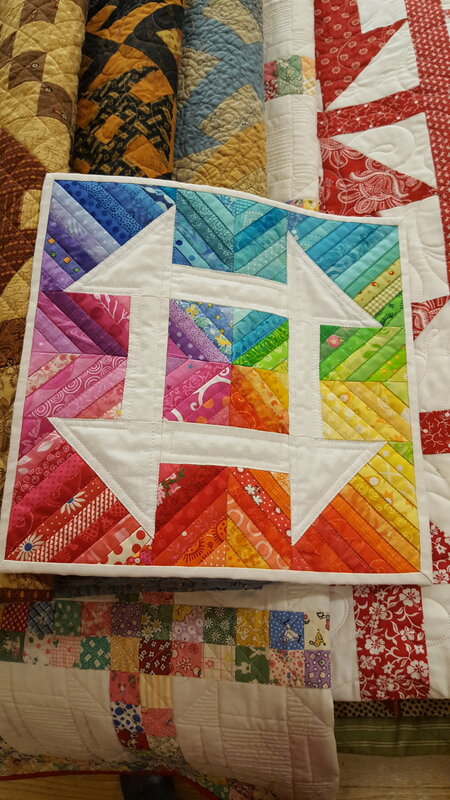 Below are some images of quilts / tops she displayed for the group. Click on the image to see it larger and click through the images. A Workshop with Reeze Hanson followed the meeting. 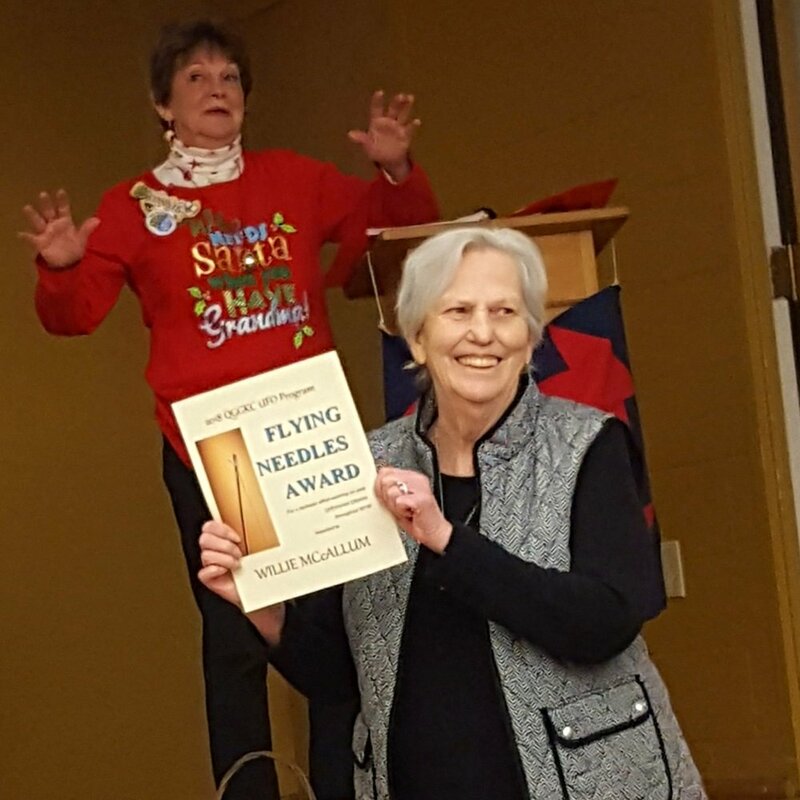 This was the end of the year for the UFO challenge - Willie McCollum won the flying needle award for having 26 of her listed UFOs finished during the year. Honourable mention went to Kerri Booth for finishing 5 of her 6 listed UFOs; Molly Huntley for 7 out of 9, and Ramona Collins for 8 out of 10. Each REPORTED finish gets one ticket in the drawing. 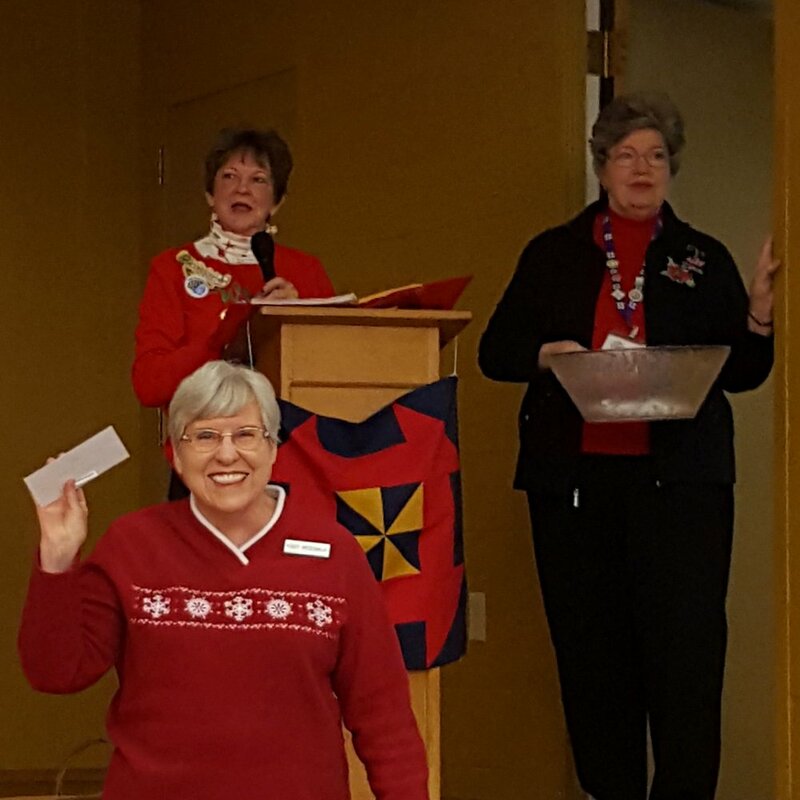 Nancy Greenlaugh won $50 in the drawing. 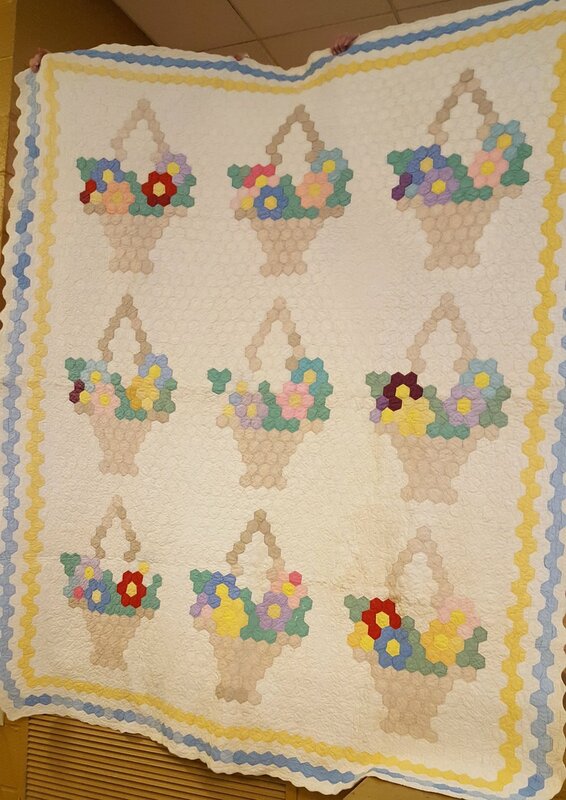 Truman Hospital 55 crib size quilts plus 10 baby afghans - Ozanam 17 twin size quilts - Hillside Nursing Home 7 lap size quilts - Sunflower House 3 large lap quilts to be used for their February auction. 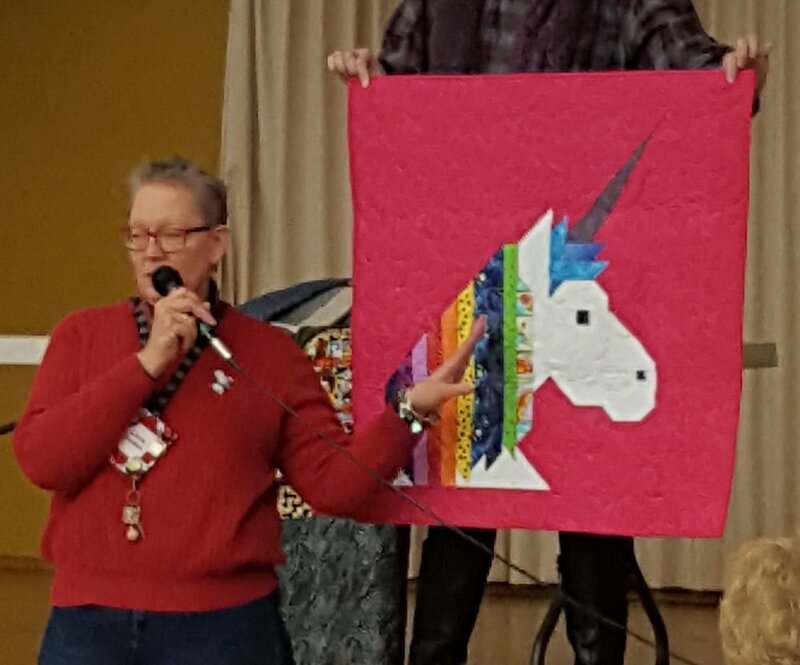 Our own member Candy Hargrove presented a huge number of churn dash quilts she has made or collected. Some of them are shown below. Doris Carr, member-at-large, and Farilen Coates arranged for dinner to be catered by HyVee, a turkey dinner with all the trimmings. It was enjoyed by all. And the guild only raffle quilt went to: Lisa White !!! At the November 2018 meeting, Molly Hundley will be taking deposits for the February (14th-17th) Sew Much Fun Retreat. More information can be found in the newletter or on the Activities page of this website. You need to fill out the form and submit it with your deposit ($25) to hold your place for the retreat. This fills up FAST! so have things ready. 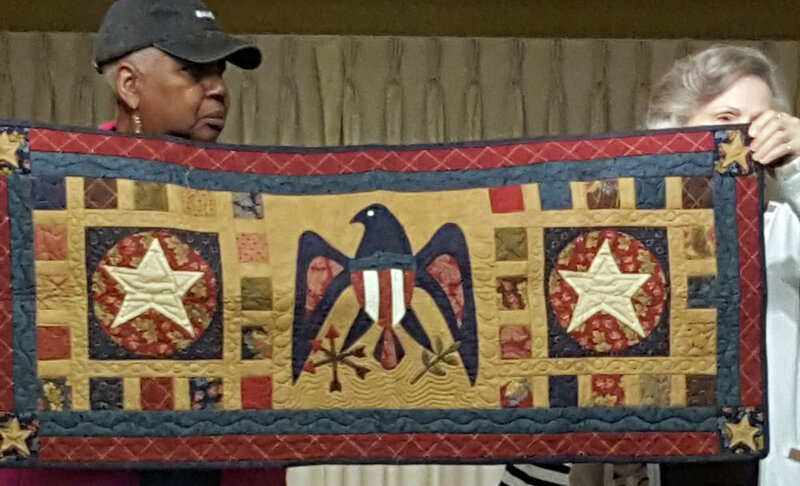 As usual our September meeting had some great quilts in Show and Tell. For pictures, please visit our Facebook Page. 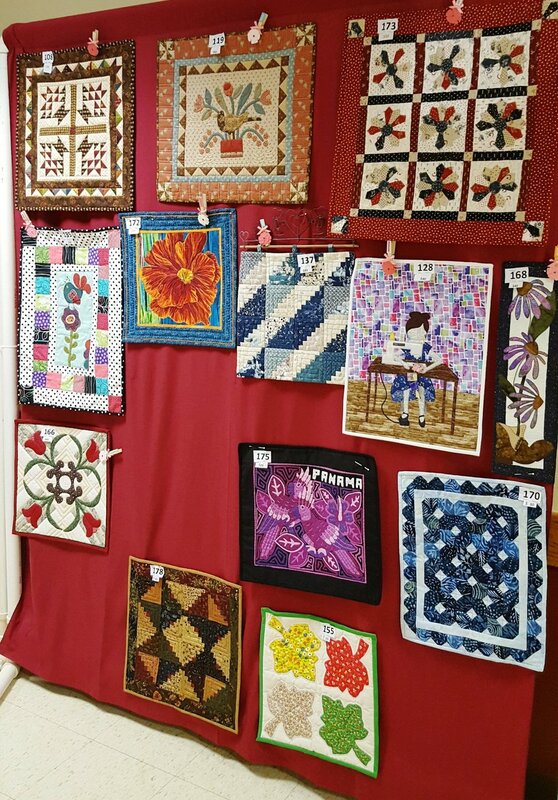 Our biennial quilt show was held August 24-25, 2018. Please enjoy these images of the fun. Looking down on the Boutique. Watch out for Gretchen's elephant! 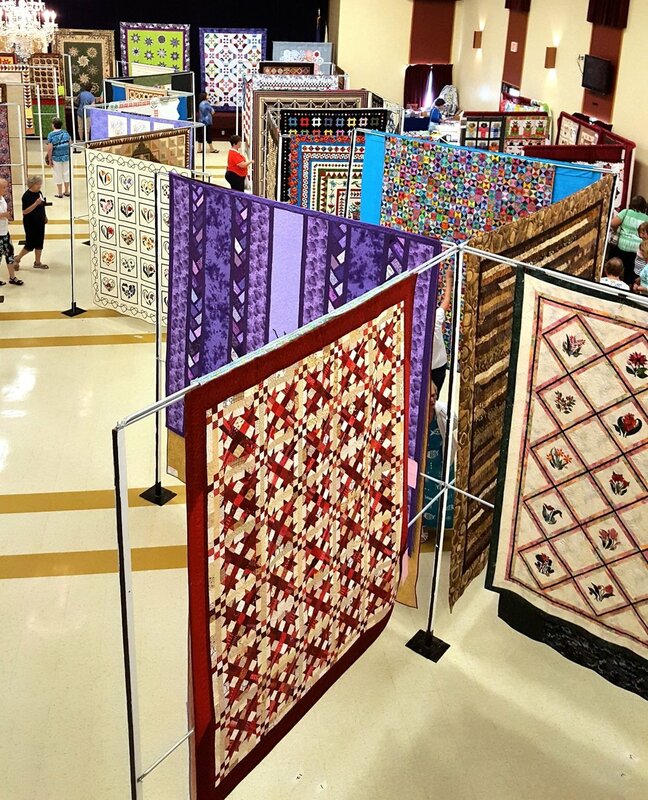 We are so excited for the Kaleidoscope of Quilts show this weekend! 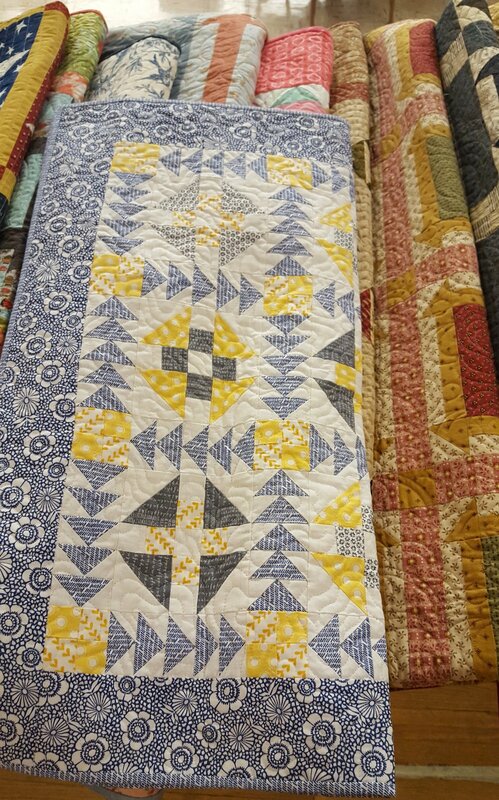 Take a tour of some of our quilts on display and for sale.